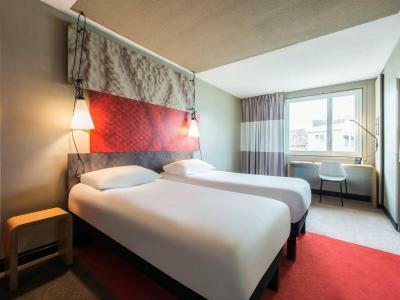 Lock in a great price for ibis Cognac – rated 8.2 by recent guests! 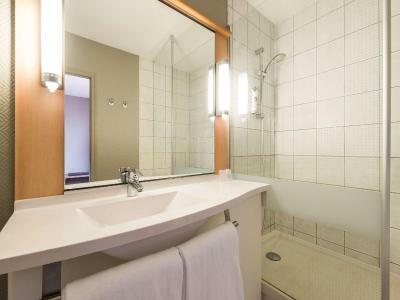 Ibiis hotels are generally reliably clean and comfortable, if fairly basic. The staff were very helpful and pleasant. 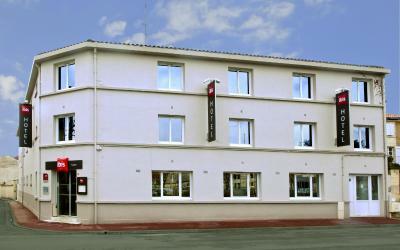 The hotel is situated within an easy walk of Cognac centre. Breakfast was good and sensibly priced. Good selection for breakfast, free parking nearby. Bed good. Slept well. 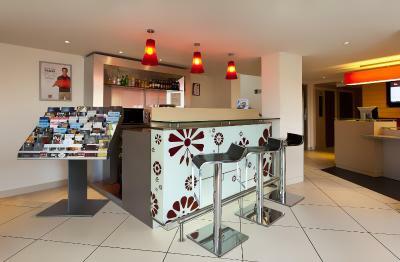 Great location and staff very helpful.. Definately stay again when in Cognac. Clean, friendly and basic hotel. Comfortable bed and bedding. Breakfast pretty good. Good location and very near Remy Martin. 15 min walk to station. Cognac is a lovely city to visit, with historic walks around the city. Plenty to see. Basic but clean and excellent location with free parking outside the door. Very good value for an overnight stay. Café/boulangerie 100 metres away for breakfast as hotel expensive! 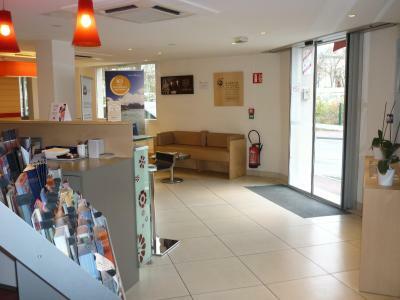 Within easy walking distance to the centre of the town, cognac houses and cognac museum. One of our best sellers in Cognac! 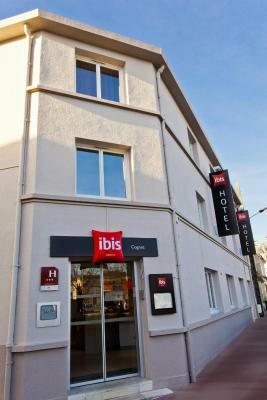 ibis Cognac is located in Cognac and a number of restaurants, cafes and shops can be found nearby. 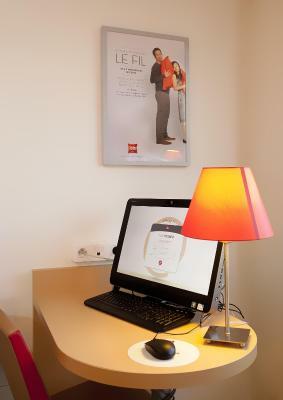 Guests have access to free WiFi throughout the property. 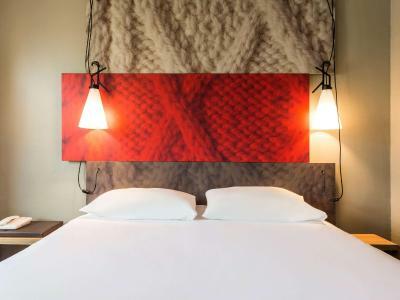 All rooms include a desk and a flat-screen TV. 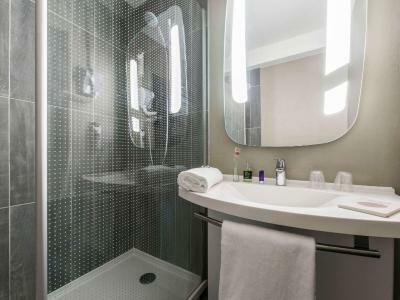 The private bathrooms come with a shower and a hairdryer. For guests who enjoy golf, the Congnac Golf Course is a 16-minute drive from the Hotel. If you wish to explore the surrounding then the Cognac Art Museum is just a 10-minute walk from the ibis Cognac. 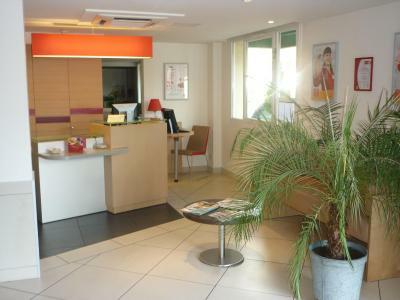 La Rochelle - Ile de Re Airport is 68 mi from the property and Cognac Train Station is 2,650 feet away. 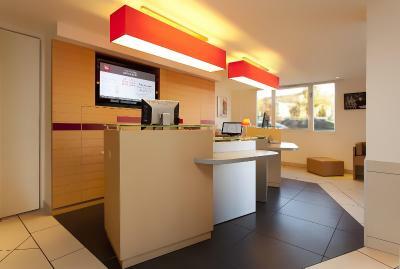 When would you like to stay at ibis Cognac? 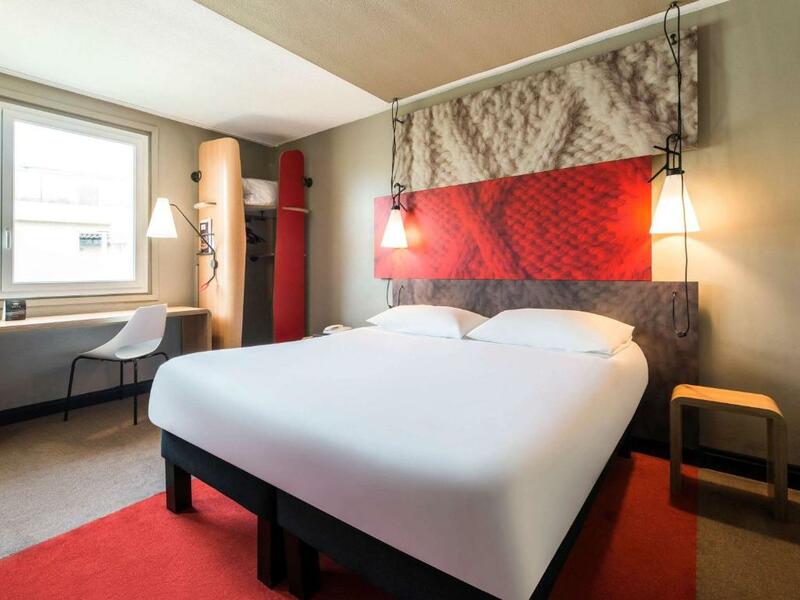 This double room features air conditioning, flat-screen TV and toaster. House Rules ibis Cognac takes special requests – add in the next step! 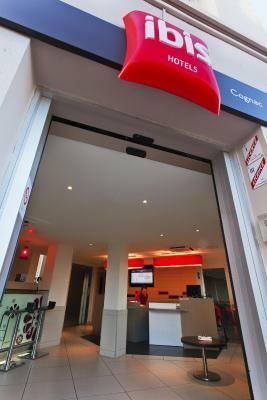 ibis Cognac accepts these cards and reserves the right to temporarily hold an amount prior to arrival. Compared with other hotels we used on our journey home from Spain this hotel was vastly overpriced...it is basic. My friend left his jacket behind( very light weight and compact), the manager informed us we would have to arrange courier collection. We then requested that it be forwarded to friends living in La Rochelle, again we were told to forward a prepaid envelope...this is not possible from U.K. It will now be collected, whenever something like this has happened to friends I. U.K. the hotel just forwards it on!!! A good standard as ever. For a city location that is busy it would be good to have a restaurant that served some substantial food in the evening, or offer some recommendations in the locality. Fluffier towels (2 each please) and more coat hangers. I was not aware that the hotel did not have a restaurant for dinner although there are a multitude of restaurants nearby. very limited breakfast options for price charged. Some noise during the night. Not sure unless prepared to pay a lot more for stay.